National Funding offers both new and pre-owned equipment leases with no down payments or collateral required. There are few limitations on the types of equipment you can obtain, and you can get the materials and machinery you need quickly and easily. No matter your business’ specialty, National Funding can help. We offer equipment leases across a wide range of industries, including construction, trucking, restaurants, offices, landscaping, medical, dental, manufacturing, IT, agriculture, salons, gyms and more. The Lowest Lease Payments — Guaranteed! 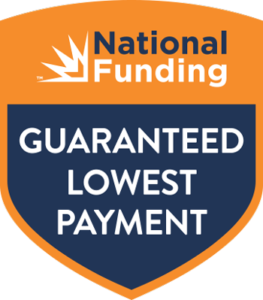 It’s been said that the only things guaranteed in life are “Death” and “Taxes.” Well, now you can add another one to the list… National Funding’s Guaranteed Lowest Payment. * And unlike death or taxes, this one is in your favor. It is our goal to be your exclusive source for equipment leasing by offering the guaranteed lowest payment and the best customer service in the industry. If we’re willing to back every one of our equipment leases with a $1,000 guaranteed lowest payment, you can bet it will be difficult for you to find a lower lease payment rate. Many small business owners have discovered the benefits of equipment leasing. The cost savings provided by financing equipment instead of purchasing it mean greater security and flexibility for businesses, as much needed cash reserves aren't depleted from buying equipment outright. Additionally, the special tax breaks business owners can claim by financing equipment offer yet another reason to explore this option. However, it's important to work with an equipment leasing company that understands the unique needs of your enterprise. Fortunately, at National Funding, we know what it takes to get small businesses performing at their full potential.